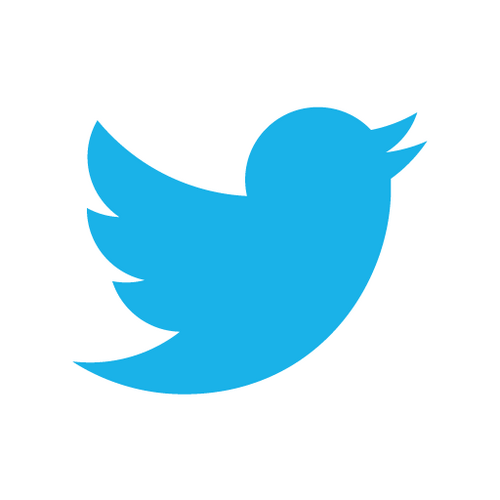 Twitter has created a new tool which enables users to find their very first tweet! The tool, which is funnily enough named #FirstTweet, was created to celebrate Twitter’s 8th anniversary after the site was launched back in 2006. According to the tool, my first ever tweet was posted on June 8, 2009 at 2:15pm. My tweet was a bit standard however – just saying I was on Twitter! To find your first tweet, just click here (make sure you’re signed into Twitter first). Let me know if your one is funny, odd, or totally cringey! Obviously, the content that you include in your blog is the main thing that is going to determine whether it will be a success or not. However, social media is also a big part of building up your readership and finding people to appreciate your work. The latest statistics from The Huffington Post and eMarketer show that there are now a total of 645,750,000 registered users on Twitter. Further data from the Pew Research Center in the US also found that 46% of Twitter users visit daily and 29% visit multiple times per day. This means that Twitter is a huge opportunity for you to promote your work. However, how can you do this to achieve the optimum result? It sounds simple, but if you don’t follow anyone, then you can’t really expect people to follow you. For example, I have heard some people say they will only ever follow under 300 people or even 100 because they think it looks better. However, I think by doing this, you are missing out on several interesting accounts and also making yourself seem a little conceited. You also can’t really expect to reach a mass audience this way, as it is not likely people will be aware of your work, unless you are already a well-known figure. Some people may find them annoying, however hashtags are definitely an effective way of making the right people see your tweets. You don’t have to hashtag every word. In fact, definitely DON’T do this, as it is annoying and people are likely to unfollow you. However, a few well-placed hashtags can be extremely beneficial, especially if you are trying to promote your own content. For example, say you have written a fashion post, make sure you tag it with the widely-known #fbloggers (fashion bloggers) hashtag to reach other bloggers writing about fashion. If you have written a blogpost about a particular brand, then definitely make sure you ‘@’ them using their Twitter handle. This way, they are more likely to retweet the article, which could be great news if they have a large following. Other people who are searching for that brand on Twitter are also more likely to see your content this way. Lists are extremely useful, especially if you follow a lot of people. They allow you to separate Twitter users under different headings, which means you can organise people under different subjects. For example, on my Twitter, I have a list of my close friends, as well as people who I work with, a blogger list and a media list. This means that I don’t miss any tweets from my close friends and I can quickly catch up on what bloggers, people from work or those from the media industry have been getting up to. You also can add people who you don’t follow onto lists, if you want to help keep your follower number down without missing content. As well as just throwing all of your content out there and expecting everyone to read it and share it, make sure that you are engaging with your followers. Remember that those who follow you have actually taken the time to click that follow button, so make sure that you let them known you appreciate it by making saying thank you for the follow. If they are a blogger, who not ask them if they are on Bloglovin if you use it, so you can keep up with their posts. Remember as well, if you share other peoples articles that you find interesting, they are more likely to do the same for you too. If you haven’t signed up to Tweet Deck yet, them do immediately! This awesome tool lets you looks at all everything at once, e.g. the timeline, your mentions and even what your followers are favouriting. As well as this, it lets you schedule your tweets, which is possibly the handiest Twitter tool ever. This allows you to write up a tweet and then schedule in a time that it will automatically be tweeted out to your followers. This is great if you know you are going to have a busy day the next day, as you can just set up all of your tweets so that they are done for you. Most people will have some sort of analytics set up on their blog. If you use WordPress, then you will find that this is automatics. However, those who use other platforms can set up things like Google analytics which will do the same thing. Make sure you try and look what blogposts are most popular with your Twitter fans, as this will give you more idea in the future of what to write about. Twitter has made a lot of changes recently. One of these is that images automatically open on people’s timelines now. This means that images get a lot more attention now, as they immediately grab people’s attention. In light of this, it is a good idea that you attach a relevant image to any of your articles, so that they help to attract attention. Make sure you are not doing this too much however, as your followers might become fed up of it. There is nothing worse than someone who literally sends out the same tweets constantly. For example, don’t just write ‘Here’s my new blogpost’ and a link everytime you publish something, as your followers are likely to get fed up and no one will click on it. Instead, why not write a bit about what’s in the article. Also, as well as just links, share some photos, write a quote, or even say a bit about what is happening in your day to keep things fresh. Above all else, remember that social media is meant to be fun. Sure, it can be great for expanding readership outreach, but you don’t want to lose sight of the fact that it is a fun platform, as otherwise you are likely to disengage from your audience. Make sure you keep part of you account personal as well, as followers are more likely to warm to you and share your content and you are more likely to want to use it yourself. So there you have it! There are my 10 Twitter tips for those of you with blogs. Let me know if you thought they ere helpful or if you have any Twitter tips yourself. Oh and if you want to follow me, I’m on Twitter @sammyloubelle.